* A lot of participants have requested for a date change as 3 Sept 2016 clashes with a few other events. To allow more participants to enjoy this scenic golf course run, the date has been rescheduled to 24 Sept 2016. Event organizer will contact those participants who have already signed up and make any necessary arrangement separately. The OCC 3Ten Run is Singapore’s first evening golf course run ever and this year is the second successive year following up from its inaugural launch in 2015. This event consists of both competitive and leisure race categories which aims to provide avid runners a unique experience of racing across award-winning golf courses at Orchid Country Club (OCC) instead of the usual run terrains. The name of the event ‘OCC 3Ten Run’ was purposively coined to weave in significant elements that made up the nature of the run. The figure ‘3’ refers to the three premier 9-hole golf courses at OCC, while ‘Ten’ refers to the entire route distance of 10 km. This year, the event will flag off on Saturday, 24 September 2016. 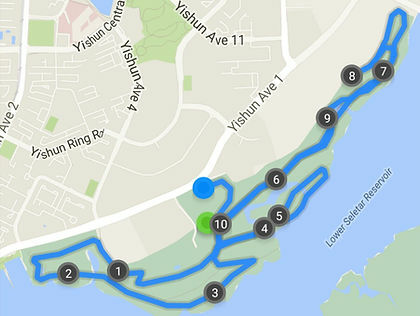 To create more bonding time for families and friends, there is a new race category named Fun Run where leisure runners can complete a distance of 5 km at their comfort pace and enjoy the breeze and beautiful scenery of the immaculately manicured fairways and greens along the tranquil waterways of Sungei Seletar Reservoir. In addition, to keep things more interesting, distance for the Family Run (1 adult + 1 kid) has been increased from 1km to 1.5 km. The 10 km Individual Open remains a popular route for competitive runners. Apart from the races, there will also be a race village where participants and spectators can enjoy special promotions and partake in an array of fringe activities and lucky draws. Be it competitive or leisure runners, OCC 3Ten Run is tailored for a wide spectrum of runners. This annual event certainly has a purpose for everyone. If you are in for a total different run experience, embark on an adventurous journey with us by registering now! Participants shall collect their Race Pack that includes the Event tee and other novelties at the Race Pack Collection. If participants are unable to collect their Race Pack in person, they may authorise a representative to collect on their behalf. Change in sizes during the collection of Event singlet is strictly NOT allowed. Participants must adhere to the sizes that they have registered for. Late collection will not be entertained and the Organiser shall not be liable for any other loss or inconvenience caused, due to participants’ inability to collect their Race Pack. At all times, it is the responsibility of the participants to collect their Race Pack during the Collection Period. Race Packs not collected during the Collection Period will be deemed to be unwanted, and the Organiser shall be at liberty to dispose or re-distribute them accordingly. The Organiser will not be responsible for any loss and/or damage, personal or otherwise, to the belongings of participants. Event day registration will not be accepted. The 10km Individual Open is competitive and RFID system will be deployed to capture the timing. For the 5km and Family Fun run, it is non-competitive, therefore, no timing device will be issued and no official timing will be recorded or provided. Participants in the 10km Individual OPEN will need to follow the run route strictly and the Organiser reserves the right to stop the run of the participants due to the violation. Cut off time at Start Point for the different categories will be 20 mins after the listed time. Participants shall be ready and assembled at the Start Holding Area 15 minutes prior to the Run. Participants must ensure that their Race Bib is clearly visible at the front of their adorned apparel at all times. Participants must run on the designated path for the entire route. There is strict instruction where participants will need to follow and run on the buggy tracks. At all time, the participants are not allowed to run on the golf course green, fairway or rough unless indicated clearly by the Organiser. The Organiser reserves the right to stop the run of any participants who have repeated fail to observe the warning given out during the run. Participants who are walking are required to keep to the left side of the race route so as not to cause obstruction to other runners.